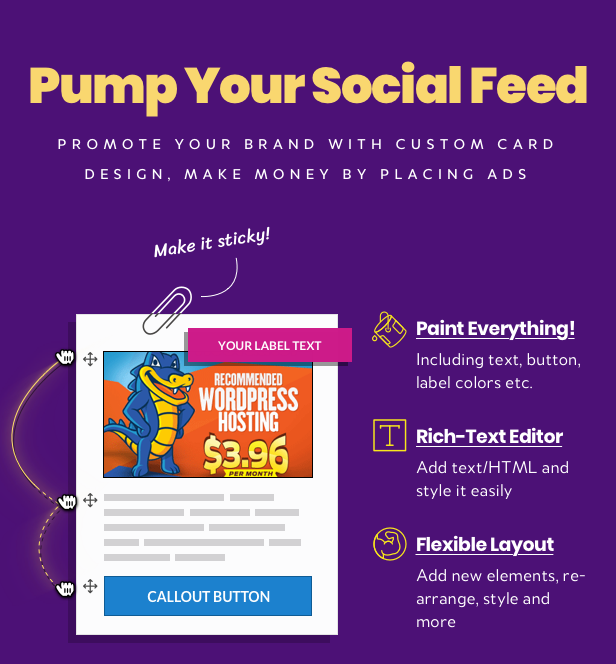 Personalize your Flow-Flow WordPress Social Stream with branding and advertisement cards. 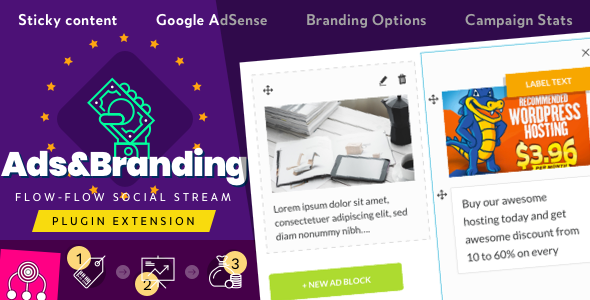 Make sticky and always show any custom content: your brand info with links to social profiles, custom advertisements or third-party advertisements like Google AdSense, any announcements, event promotions and whatever you think of. 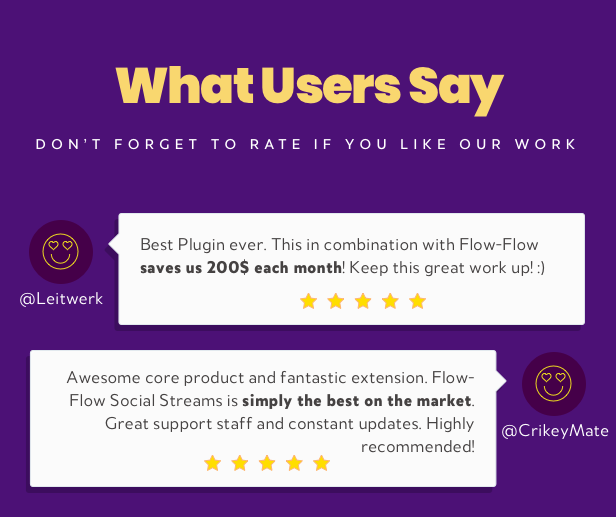 This Flow-Flow extension will allow you to earn money by placing advertisement on your streams. If you run hashtag campaign you can make hero card with info. 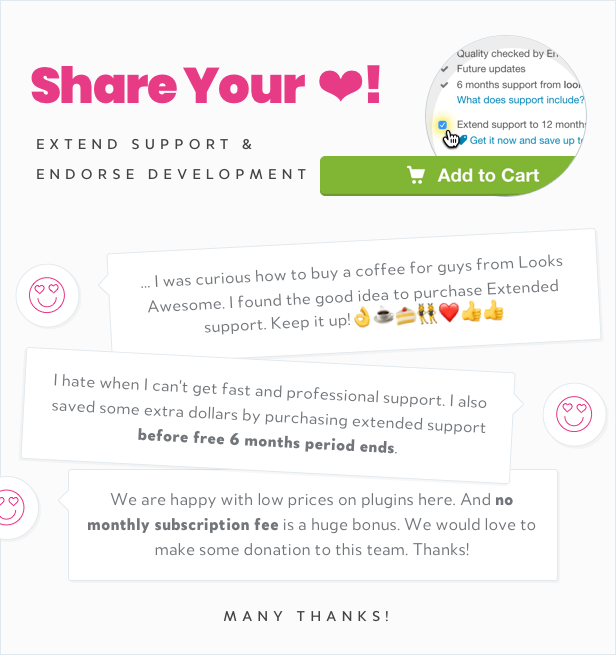 With so many ways to utilize custom cards it’s definitely a great extension of Flow-Flow Social Stream functionality. After installation new tab Campaigns will appear on your Flow-Flow admin page. On that tab you will be able to create campaigns with custom cards and attach them to any existing social stream you already have. 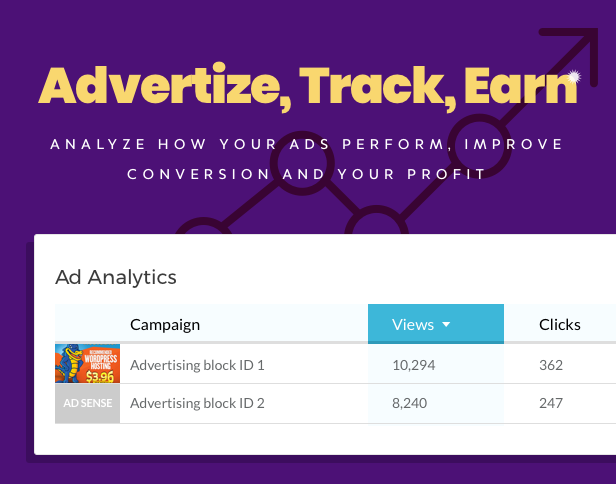 Campaigns can be run for a limited period of time with access to performance analytics like views and clicks (performance of third-party iframe ads like AdSense should be checked in its respective admin).